This year, I plan to create a little mail art with my envelopes, inspired by Lindsey over at The Postman's Knock. She mentioned that she sometimes puts her envelopes in a clear plastic envelope to protect the 'art'. Part of me is all about maintaining a certain sense of 'post' — marks and all, but another part of me likes the idea that you can have a higher level of quality control over how your envelope arrives. I have seen some dismal end results. So, being unsure about how I feel, I'm just going to jump in and try it. Lindsey has investigated (successfully via Reddit) how using a clear envelope works for the US postal system, so I wasn't sure how it would go with the UK's Royal Mail. I talked to someone in store, who suggested it wouldn't be a problem, so I decided to send a test envelope to myself (well, my daughter specifically) so I'd know how it all went down. I thought I'd do a final check via Twitter (praise be to social media) because in the US they charge a little extra to manage non-machinable envelopes. 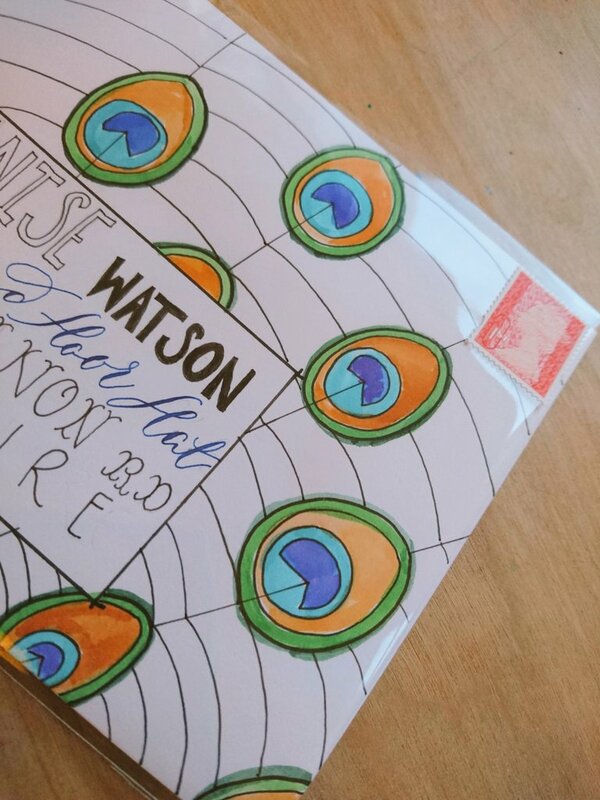 Can mail art survive the postal system? It sure can. My envelope, sent first class, arrived the next day and perfectly protected by the clear envelope. It didn't cost anything extra to send via Royal Mail. The outside bears all the hallmarks of postage, machine markings and all. I guess you just have to decide whether you want to remove those 'sent' identifiers from your envelope that you may love to see one day in the future. For reference, I bought my clear envelopes from Ideal Envelopes.